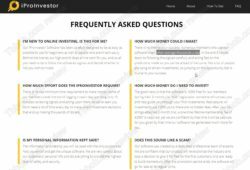 In this review we explain why you should not invest any money with iProInvestor. iProInvestor is an automated trading software that allegedly uses advanced algorithms to generate profitable trading signals. Users of this system allegedly make thousands of dollars per day and they don’t have to learn much, the software does everything for them. iProInvestor is free for the first two months, then you have to pay $2,997. Do you have anything to lose? Yes, your own money! 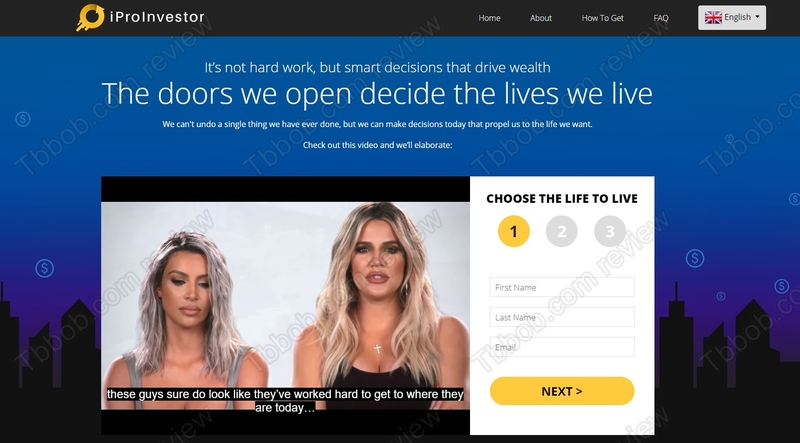 The truth is that iProInvestor is a typical investment scam that has been designed to steal your money in a subtle way. 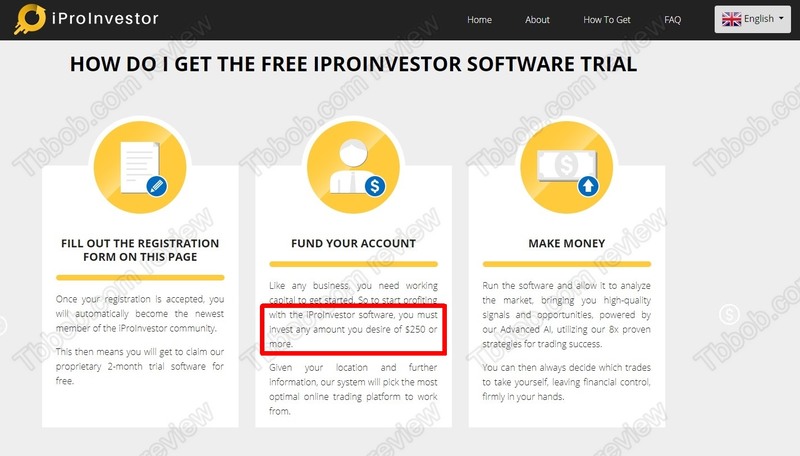 Investment scam software are almost always offered as free. Now, ask yourself a simple question, would a system that is able to make thousands of dollars per day be free? Or would it cost three thousand dollars lifetime? Of course not! Here is the thing, iProInvestor is not free. Because you won’t be allowed to use it until you deposit at least $250 with a broker that will be dictated upon you. This broker is unregulated and it is called OMC Markets. It is a shady broker that does not even provide an address! And this is how they get your money. They will say that you need to deposit to start earning, but if you do it, you will never see your money again. The software will lose it. In case you decide to stop early, the shady broker will refuse all your withdrawal requests. From a regulatory point of view, iProInvestor is an illegal product. It clearly is an investment advice service, as it will tell you what trades to take. But it is not licensed, it cannot be legally offered in most countries. Plus, it pushes you to deposit with an unregulated broker, which is another problem. OMC Markets cannot legally operate in most countries. In fact, it certainly is breaking UK laws, since it clearly is targeting at least UK markets, since it has phone support in that country. 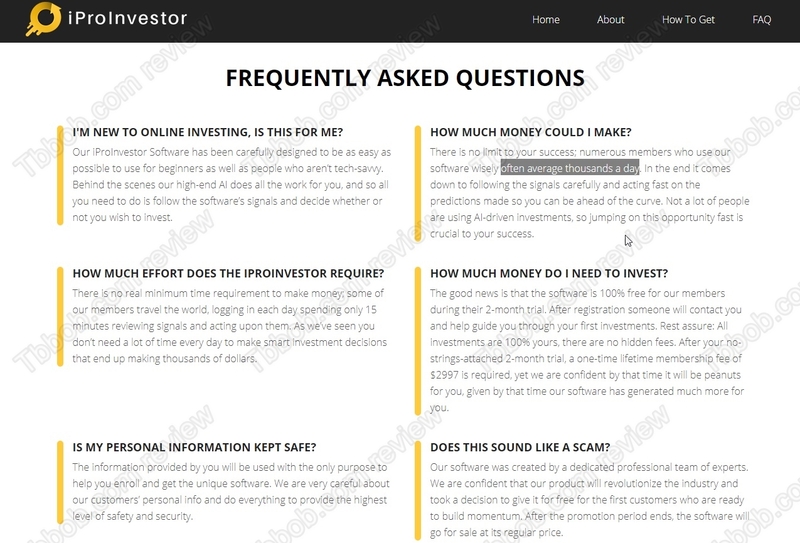 iProInvestor is a scam made to make you deposit and lose money with a shady broker. Stay away from it! If you want to try trading to make money, start safe on a free demo with a regulated broker. You have things to learn and understand before you can start thinking about trading with real money.